BottleRock Napa Valley runs May 8-12 at the Napa Valley Expo. Full info. and ticket sales here. THE BIG COME-UP The Black Keys join Macklemore, the Flaming Lips, Furthur, Kings of Leon and many, many others in Napa. A huge five-day festival with some of music's biggest names is coming to Napa in May. BottleRock Napa Valley, running May 8–12 at the Napa Valley Expo, is easily the largest festival in Napa Valley's history, and organizers are planning for up to 40,000 people to attend. That crowd estimate is due to the stellar lineup, which includes the Black Keys, Macklemore and Ryan Lewis, Kings of Leon, the Zac Brown Band, Furthur, Jane's Addiction, the Flaming Lips, the Black Crowes, Alabama Shakes, Jackson Browne, Ben Harper, Primus, Dirty Projectors, Bad Religion, the Shins, Edward Sharpe and the Magnetic Zeros, Dwight Yoakam, Iron & Wine, Andrew Bird, Brandi Carlile, Best Coast, Rodrigo y Gabriela, the Wallflowers, Mavis Staples, Justin Townes Earle and many others. Macklemore currently has the No. 1 song on the Billboard charts, "Thrift Shop." 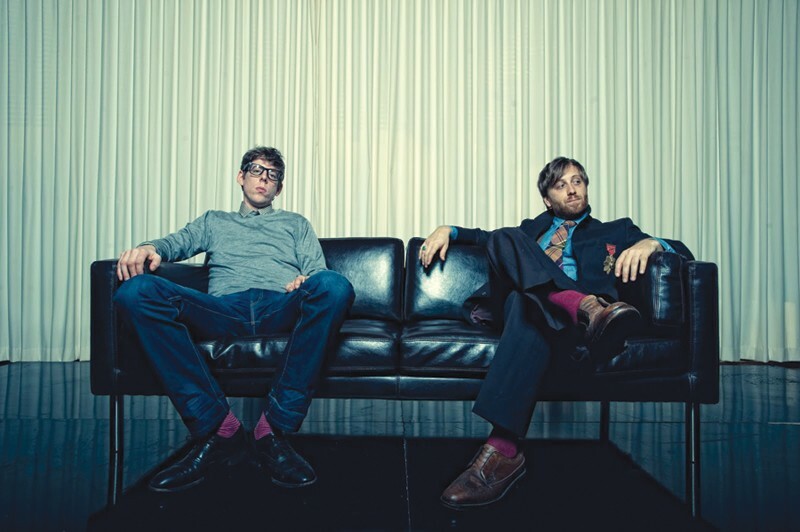 The Black Keys are nominated for an Album of the Year Grammy and will perform as part of this week's awards broadcast. The vast majority of the festival's other acts are strong headliners in their own right. "There's no disguising the fact that it's mammoth," says BottleRock general manager Joseph Lillis. "If this is the success that it looks to be, the whole valley's going to be packed." Success does appear imminent for BottleRock. On the day the lineup was announced, the festival's website crashed. Last Sunday, when a $50-off special was available for three- and four-day passes (normally priced at $299 and $399, respectively), organizers had to cap the promotion after 4,000 fans quickly took advantage of the deal. Thousands more presale passes have been sold, and the general public on-sale date is not until Sunday, Feb. 10. Perhaps most impressive is that BottleRock is an entirely local effort. Unlike most other festivals of its scope, it is unaffiliated with larger promotion companies like Live Nation, Goldenvoice, Another Planet or C3 Presents. Lillis, from Sausalito, grew up in Napa. The talent buying was handled by Sheila Groves-Tracey, from Petaluma, a 26-year veteran of local concert booking. The startup capital is from investors who are nearly all local, and the festival founders are Gabe Meyers and Bob Vogt, both dyed-in-the-wool Napa locals. "My family's been here since the '40s," says Meyers. "My grandma's still here, my grandfather was a contractor in the Napa Valley for his entire life. My dad's construction company, Meyers Construction, is celebrating 53 years right now. Bob's been here since 1981. So yeah, we're pretty local." Meyers jokes that the idea of a major festival came to him "when I was in utero at Altamont." (He was born in August 1970.) Originally, Meyers planned the festival to take advantage of various live music venues around town, like the Napa Valley Opera House, the Uptown Theatre, Silo's and others, similar to South by Southwest in Austin or Noise Pop in San Francisco. But in friendly talks with larger festival promoter AEG, Meyers explains, "they said, 'You guys are crazy. You've got this incredible 26-acre facility with flushable toilets and power and buildings you can use and great infrastructure. Just use that.'" The Napa Valley Expo has limited parking, and both Meyers and Lillis say there have been ongoing talks with the city and county to address the music, which will end at 10pm each night, as well as the influx of visitors. Last week, locals were encouraged through a $70-off promotion to walk, carpool or bike to the festival; those 700 locals-only deals were gone within an hour of their announcement. Shuttles will be made available, explains Lillis, likely from sites such as Napa Pipe and perhaps as far away as the city of Davis. "The last thing I want is for anyone from Napa County driving to this festival," says Meyers. Meyers stresses the charitable aspect of the festival, in which 10 percent of the net profit will go to autism causes. (Vogt's 21-year-old son Will has autism.) Additionally, $6 from every ticket and $1 from every beverage sold will go to various nonprofit community partners, including Hands Across the Valley, Friends of the Napa River, the Napa Land Trust, the Peggy Herman Neuroscience Center and the parks and recreation department. Previously, Meyers' company WillPower Entertainment had promoted concerts to benefit injured Giants fan Bryan Stow. A comedy lineup is expected to be announced soon, and naturally, food and wine vendors will be a large part of the festival as well. But for music fans, the lineup of big names is the real draw. One fan's post on BottleRock's Facebook page summed up the initial reaction: "Is this real?"